Peter Allen (P.A.) 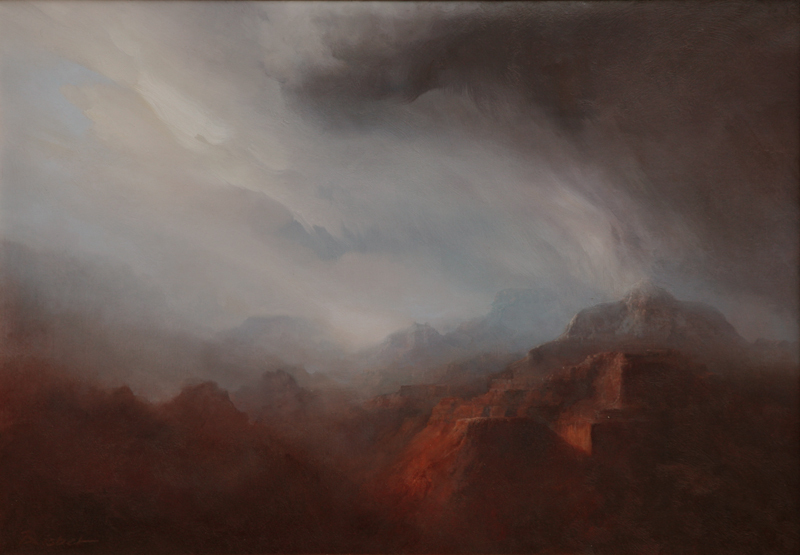 Nisbet's new works draw from intersections of dramatic light and strong weather. Working from direct, firsthand experience is what breathes life into these works. 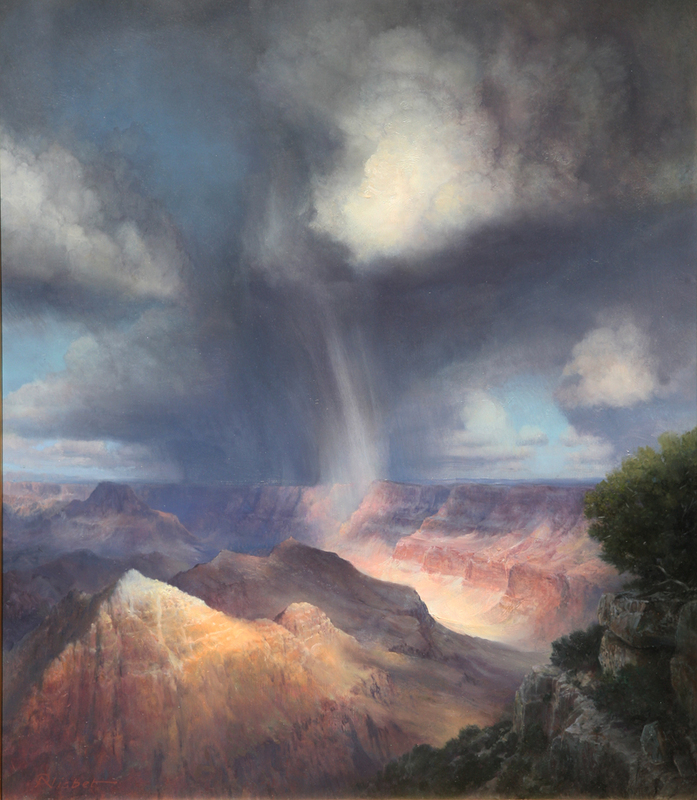 The solo show, which will feature new works depiting the Sonoran Desert, the Grand Canyon and Yellowstone and Zion National parks, will convey to viewers the visual experience of changing light and intense atmospheric events. "It's about the sublime...a notion from American landscape painting, that refers to the experience that people have when they witness powerful natural occurences," Nisbet says. "That [experience] tends to be extremely threatening and extremely exhilarating. You see it in Bierstadt and Church and the late 19th century." Often utilizing reference photographs and quick, on-site field paintings to capture the original experience for his works, Nisbet completes a series of oil and charcoal sketches to work out the copositional themes, disribution, and light on his canvases, once he returns to his studio. "Part of this process is allowing memory to intervene," Nisbet informs. "Over a period of several months, one's memory tends to distill and weed out elements of the events and leave behind a stron gkernel that represents the original moment...I will change the composition slightly to make to make that painting bring forth that initial idea. It's a long, involved process and takes many months." Beginning with the same philosophical approach to all his works, Nisbet easily works on three to 10 paintings at one time. P.A. Nisbet, Snow Squall at Vishnu Temple, oil on canvas, 18" x 26"
"I see my work as a contemporary bridge back to the mastery of those old paintings, and I make it my task to try to eleveate my work if possible to that level," he says. "It's a bridge between the works of the Old Masters such as Moran, Frederick Church, and J.J.W. Turner and the contemporary experience...I'm working out of old themes and old light." Nisbet's works will display on October 12 at Medicine Man Gallery's new Tucson location at 6872 E. Sunrise Drive. Collectors can meet and greet the artist and enjoy the new gallery space from 5 to 7 pm.